A boat carrying up to 700 migrants capsized in the Mediterranean Sea killing hundreds of people, the Italian coastguard says. A major rescue operation is under way after the vessel carrying “between 500 and 700 migrants” capsized at midnight local time, south of the Italian island of Lampedusa. So far 28 people have been rescued. 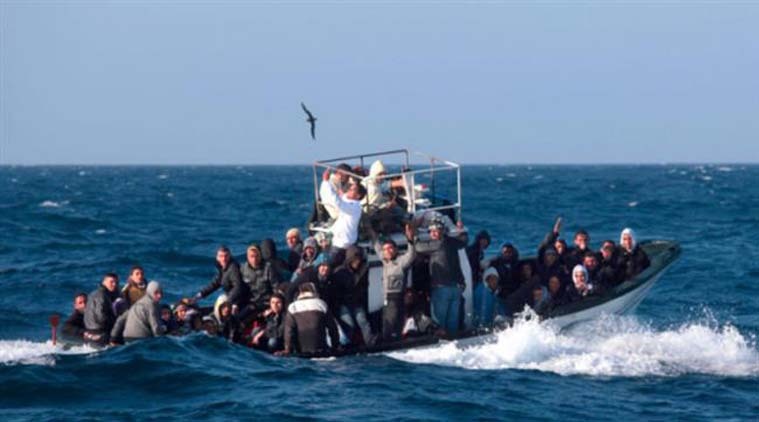 Earlier this week, 400 people are feared to have drowned when their vessel capsized north of Libya. Maltese PM Joseph Muscat said that many people were feared dead. Italian ships, the Maltese Navy and commercial vessels are all involved in the rescue operation in Libyan waters. According to The Times of Malta, the migrants fell overboard when they rushed to draw the attention of a passing merchant ship. The Italian coastguard’s spokesman said the fishing boat capsized about 130 miles off the coast of Lampedusa and 17 miles from the Libyan coast. Twenty ships and three helicopters were currently involved in the rescue, he added.